1. Students will click on the Peermark icon located to the right of the Turnitin screen as shown below. 3. 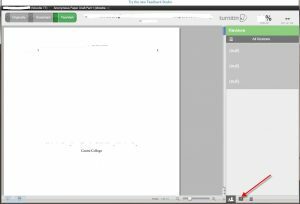 The Feedback Studio page will open with the selected peer paper and peermark questions on the right. 2. To read reviews of your own paper made by your peers, click on the green checkmark. 4. Click on the middle icon (the ?) to read the peermark review questions and answers for your paper. 5. 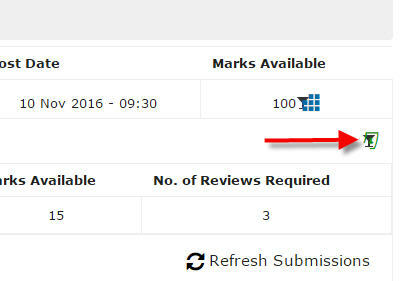 To review specific comments or marks for the paper, click on the last icon.